The other day I was in my local bookstore (ha-ha nothing new there) and I was perusing the Young Adult section. Another lady, roughly the same age, stood next to me staring at the same books. Every now and then she’d give me a sidelong glance. I thought maybe she needed some assistance in making her choice. So I offered my advice. “I just finished reading this” I said, holding a top seller in my hand. “It’ s a really great story if you’re looking for something new to read” I offered. “Oh I’m not looking for, me my niece is turning thirteen, so I thought I’d look in the teen section,” she said with some undertones of judgment pulsating in my direction. We continued to have a pleasant conversation and discussed what her niece did and didn’t like. After vetoing a few suggestions the lady happily left with my recommended books of “Fangirl” and “Eleanor and Park” (hello, commission please). As she exited the store, smiling, my shoulders dropped slightly, did I belong in the YA section? I felt I suddenly needed a story, a rouse, or an alibi for why I, an adult, would be looking in the teen section. I don’t think I’m alone in this dilemma as according to a study by Publishers Weekly 55% of YA readers are adults and 28% of those are aged between 30 -44. Since the largest purchasers of books are in this age bracket, maybe bookstores should make the YA section more welcoming to this demographic. Is this the reason for the popularity of eBooks in this age group (40%)? Anonymity. What do readers without an eReader (me) do, lurk in the shadows, with a trench coat, hat and dark glasses. I think the simple answer is for bookstores to change their signage from YA to YA and Crossover. Do you feel guilty standing in the YA book section as an adult? The Rosie Project has sold in excess of 2million copies and has been sold to over 40 countries. This success led to the rights being optioned by Sony and to the delight of many fans we will be able to see the lovable character of Don Tillman on the silver screen in the near future. His second novel The Rosie Effect is on a similar trajectory, so I was very fortunate to be able to have a quick chat with a very busy man and the hottest commodity in publishing at the moment. Since you first wrote The Rosie Project as a screenplay was it always your vision to see it as a film? I did when I was writing to the screenplay, but while writing the novel I didn’t at all, I put the visual out of my mind. I was much more concerned about Don’s internal world, what was happening in his mind. I wanted the language to express this. I heard that you’re working on the script for the film did you refer to your original screenplay? I’ve drafted two scripts for SONY that’s my contractual obligation. I redid the script with the book in mind. JK Rowling said that most of the writing of a book was done in the mind, The Rosie Project took a six years to be written, was most of this thrashing out the plot? Yes it was thrashing out the plot and the characters. For two and half years it was The Klara Project. I dumped Klara and introduced Rosie. So getting characters right was crucial as was developing plot twists. Great characterization is central to The Rosie Project’s Success Can you give any advice on this topic for would be authors? If you are trying to write comedy then the more time you spend on forming a good character then the less time you have to spend on the comedy. The character does the work for you. Every minute, hour you spend on forming your character is worth it and will come back in further down the track. I don’t use any tricks for characters, like list of their favourite hobbies etc. but the advice I give to young writers is try to look to your own experience. Even if that experience doesn’t seem relevant avoid second hand characters from Television or books. For example if you want to have a character who is the boss of a corporation don’t base it on Mr. Burns from The Simpsons. Develop your character first and write what they would do in that situation. The books deal with a variety of relationship issues especially the differences between men and women and how they communicate is this through observation and is it a topic you wanted to explore? It’s very much through my observations. I try to give men and women similar strengths in the books. As I create a character their gender is not critical to the character, the dean of medicine is female and gay, but was originally written as a male character. Its not that I felt I had to do that, it just evolved. I certainly regard men and women as equal, but as a writer and most novelists will tell you this, I find writing the other gender hard. Will we be seeing future installments of Don Tillman’s adventures? Well we know Rosie is pregnant so the outcome is obvious. I will revisit Don and explore some issues; I’ll set it seven years later, let the child grow. I’m working on another novel at the moment called “The candle”. My wife and I are also collaborating on a joint novel. Being a big fan of the first book, “The Rosie Project’ I was really looking forward to reading the next installment in the life of the much loved protagonist, Don Tillman, albeit a little anxious. Unlike a series this is more like a sequel and I was concerned it would fall into the jaws of the sequel curse. 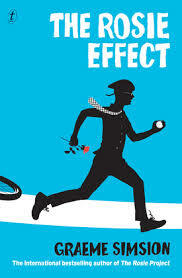 There was no need to worry, as I found The Rosie Effect to be just as delightful as The Rosie Project. Granted the book didn’t have the freshness or “surprise factor” as I had visited Don’s life before, but once again I became invested in Don’s life, and I laughed out loud and stayed up to the wee hours anticipating the ending. This is not just a “How to “ book for those square pegs trying to fit into round holes, but it’s a unique novel that explores deeper issues such as judgment and individualism. What Simsion has done well is create characters around Don who have real-life problems and flaws. This emphasizes that we are all imperfect, and yet we are all the same, and what we all need is acceptance and friendship. If you’re looking for something different from the first book, you won’t find it, but let me remind you of how you felt when you read the last word of The Rosie Project and you were disappointed that it had ended. 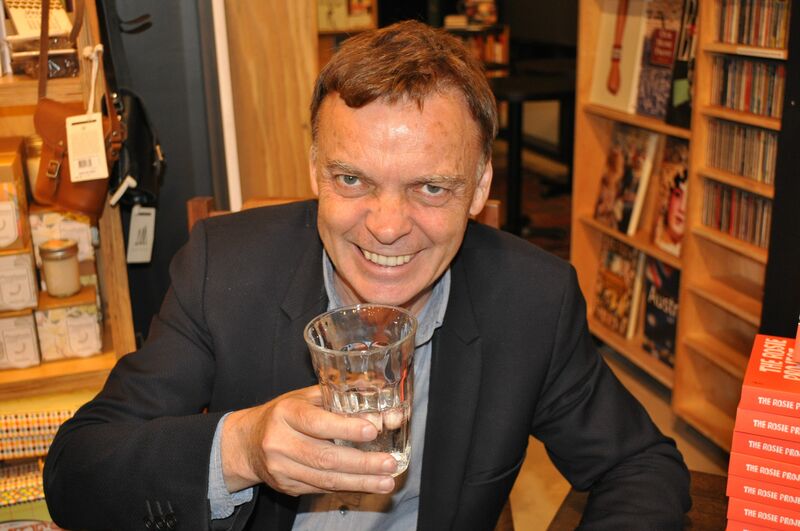 If you are new to Graeme Simsion’s award winning book then grab both books at once and think of it as one book, and extend the joy. I can think of no better way to spend my day than with a smile on my face laughing at the predicaments and antics of Don Tillman. 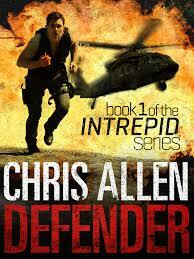 Chris Allen is the writer of the spy thrillers Defender and Hunter, book one and two in the Intrepid series, which have recently been optioned for film and television. Chris began his career in the Australian army rising through the ranks and serving as captain with the Australian Intelligence Corps. Chris then went on to join the Drug Operations Division of the Australian Federal Police. 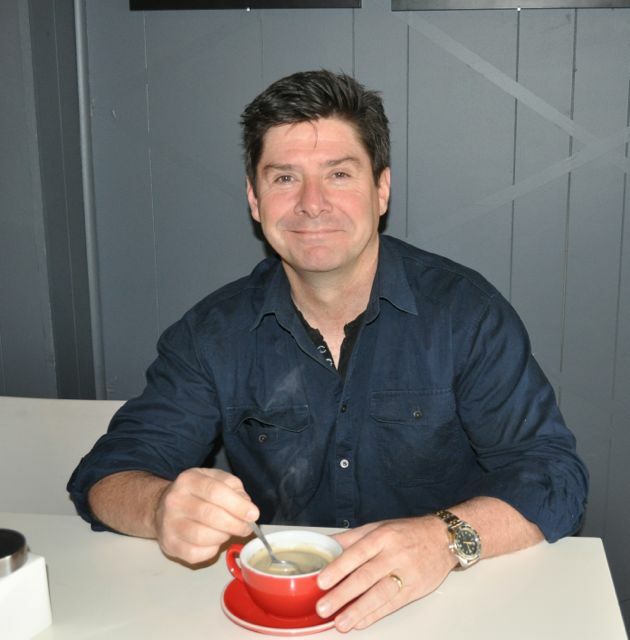 He returned to the Army in 1991 serving with the 3rd Battalion (Parachute), The Royal Australian Regiment (3RAR), and between 1994–95 was attached to British Airborne Forces, The Parachute Regiment (3PARA). He deployed to South East Asia, Africa and Central America. He was medically retired from the Army in 1996, having reached the rank of Major. Chris then worked for CARE International in East Timor leading security and logistics. Post 9/11 Chris provided counter terrorism advice for Australian government departments and agencies and diplomatic residences. Allen’s expansive career, in a world we seldom see, is what gives his series an edge. I was fortunate to interview Chris and I hope you enjoy a more in-depth look into this new writer on the spy/ thriller scene. Can you give the readers a synopsis of the Intrepid series? I grew up watching spy shows during the cold war and all of that influenced me, so when I was looking at creating the series I wanted an international spy. I was looking for a vehicle where I could make up a new agency, but I like to ground every thing in reality, so I created a fictional agency within Interpol. The agency is called Intrepid, which stands for the Intelligence Recovery Protection Infiltration Division, a division of spies for Interpol. People like that it’s a spy agency that’s interests are international, not one single country like the CIA or Mossad. I say that there is: No name. No country. No borders. No limits. When I was speaking about the films to the film producer who was interested in doing the books. He said he was ‘…already working with a Special Forces/airborne guy, like you…’, and he wanted to know if my stories were those kinds of stories. I said the characters personal histories are in the military and law enforcement, but the books aren’t soldiering stories. When I said they’re secret agents for Interpol he loved it! The series was optioned last year? Has it been green lighted? At the moment he (The Producer) is doing all the pre-production ground work, getting funding together. I can’t say his name, as that’s part of the contract. He’s American, I met him in L.A and a number of people are getting behind it as a franchise, a number of films and a television series. He’s taking a long-term view of it. It’s a slow burn, we signed last year and it’ll be 3-5 years before anything gets to screen. Is there a certain actor you picture playing Alex Morgan? The guy I always had in mind is the Australian actor Alex O’Loughlin (Hawaii 5-0), but by the time the series comes around I think he may be too old. Other than him I really like Sullivan Stapleton, but he may be too old as well, so maybe one of the Hemsworth’s. O’Loughlin was who I pictured when I was writing. I see number three in the series is coming out soon? Yes I’ve done it, it’s with my agent, who is overseas at the moment, and she is looking at various markets. I released the others through Momentum (Pan Macmillan’s digital imprint) in eBook and Print On Demand (POD) formats, and many readers have asked me where they can get a physical book without ordering online. So, what we are doing now is looking at how we can expand the availability of all the books. I have a long-term view for the series, so based on the reactions from readers so far I’m very encouraged. I’m starting work on the fourth book as we speak. It’s an exciting time. Do you have a final number for the Intrepid series or are you thinking of a new series? The ballpark number for the series is a dozen as I see the agency evolving, with new people, but Alex Morgan, my protagonist will always be there. I’ve invested so much of myself in Alex Morgan as the root character, but I have another idea that I’ve penned a significant amount of; it involves a new character and is more of a crime/ thriller, more gritty. Where you influenced by any writers in the thriller genre? Yes, the big one for me was Ian Fleming and the Bond books. Yeah, he was a navy officer in the intelligence side of things and his brother, Peter, served with the Special Operations Executive. When I grew up it was pre-Swarznegger and, as far as action movies were concerned, the Bonds were it!, It was also pre-video, so when I first saw the Bond films on TV, you had to wait for them to be repeated by the TV stations. All I could do was try to find the books and back then they’d already had their run, so I found them in second hand stores like St Vincent De Paul. I still have all of them and I devoured them as a kid. I knew I wanted to write those kinds of stories. So even back then you wanted to be a writer? Yes I did, I tried a lot of things, I knew I wanted to go to the military; Fleming was a big influence and my family. Many members of my family have a military background, many had served in the Second World War. I had it all around me. Then I discovered Jack Higgins “The Eagle has Landed”, Fredrick Forsyth, Clive Cussler. You have something in common with Clive Cussler; you both used your son’s names as your protagonist. How does your son feel about this? He loves it. He is nearly five and quite a good reader, he can recognize his name, he would sit on my knee while I’d try to write and he’d spot his name. I told him I named the character after him. My new character in the next series is named after my other son. In your books you were able to use your vast experience in special forces and law enforcement, but did you find you still needed to do some research? If there is something I need to check up on, I’ll talk to my mates. When I was writing Hunter I was writing a scene, which included drones, and that technology has come in since I left the military. I have some mates still serving whom I called up. I was stuck on a scene, so I texted two friends -“lunch at our place, we are going to talk drones”. There is a military abbreviation for acknowledge, ACK. and that was all I got back – “ACK”. They came and we sat for a couple hours. If I want to check something or I’m unsure, I’m lucky to have these friends who are specialist military instructors, so I just tap them on the shoulder. In terms of research, I researched human trafficking for my latest novel, Avenger, and stats for gun smuggling for Defender. So, I suppose I balance the research side of things with experience and calling on friends. I saw that you studied a business degree; do you think that has helped you as a writer, once you’ve had a physical product ready to market? Most of what I did post military was as a senior executive for government and a lot of my objectivity is very much on achieving an end result. So, I do balance the creativity with my experience. I have a clear goal in mind. I have a global vision, I’m getting great feed back, and I have a long-term plan. What about marketing how have you approached that? I’m really lucky my wife Sarah is my secret weapon; she is a marketing specialist and social media advisor. When we were kicking it off Sarah grabbed the bull by the horns and pushed it in the direction I wanted it to go. It’s action adventure, but grounded in a real approach. Sarah’s catch cry for the books in the early days was ‘the old school action thriller has come of age’. Originally like many aspiring authors I got knock back after knock back from publishers. I got despondent but I thought I’m not letting it go and so we self -published, it did well and then it got noticed! What medium did you use for self- publishing, straight to Amazon or CreateSpace? CreateSpace, this way I got an eBook and a physical book. Sarah and I started researching in 2010 and I was really conscious I didn’t want a book that looked like it came off a photocopier. It’s a trap for those who are trying to self publish. We contacted a number of self -publishing companies, asked all of them to send us a copy of something they had done, and we ended up with eight books. The best product was from CreateSpace, it looked and felt like a book you’d buy in a store. We went with them and they were exceptional. After that Momentum noticed and signed me for two books.I re-edited and re-released Defender and wrote Hunter. One of the things a lot of authors don’t realize is when they sign a deal they sign a lot of right for several years. So, you have to be very conscious of what rights you are signing away. I saw that you use a variety of social media including Pinterest. How have you found that helpful? Sarah said to give it a go. So I use it as an inspiration board to map out a story. I have one for each book. For Defender I put pictures of Africa, London, Sydney the places where the book is set, along with pictures of paratroopers and other things relevant to the stories. You end up with hundreds of pictures. It helps me map out. I’m a bit of a Pinterest nut now. Fans of the books follow me. Yes, it’s great I love follow Friday and people reach out with private messages. It’s great to share your interests. Facebook is great too. I also got into LinkedIn, but it’s more professional. LinkedIn is good for verifying who you are. You started a Thriller writers Association, are there many Thriller writers in Australia? Yes lots, through social media I met up with Greg Barron, Luke Preston and Nathan Ferrugia. I thought there were all these groups evolving that were predominantly women, The Romance writers group, The Sisters in Crime group and the fellas were getting left out, so for just a bit of fun I put the group together. It’s called the Action Thriller Writers Association of Australia and what we want to be is non–gender specific, but from that group formed a sub group called Thriller Edge, which is our answer to Sisters in Crime. The eight of us are Tony Park, Greg Barron, Steve Worland, Scott Baker, Luke Preston, Nathan Ferrugia and Adrian d’Hage. Our object is to get people talking about Australian Writers and we want to go to schools to encourage young men to read. Do you have any advice for any writers starting out? The best advice I can give is if you really want to do it you have to dig in and be prepared to take disappointment and take it on the chin. You have to be serious about a long-term goal. Its a rare thing to be picked up straight away and its such a competitive market, but if you’re clever and you use self-publishing in a very targeted, very specific way, you can do really well. You need to get out there and promote. If you are a die-hard Ian Fleming fan, then Chris Allen’s Intrepid series may be what you’re looking for –think of it as James Bond has had a revamp. Gone is the misogynist protagonist, and in Bonds place is a new hero – Alex Morgan. Morgan works for a secret agent branch of Interpol, he is tough but fallible, and is a character that I think readers will become invested in as they read the future books. What gives the Intrepid series kudos is the detail. This has obviously been helped by Allen’s extensive experience in the military, federal police and aid work. It’s this experience that gives the book an authenticity that’s hard to attain by research alone. The story feels grounded in reality –something you don’t usually find in the Action Adventure/Spy Thriller genre. This solid foundation doesn’t detract from the action –far from it. We are taken on a ride, with Alex Morgan, through the seedy world of gun trafficking in Africa, to corruption in the higher echelons of government agencies in England and then onto a climatic finish in the streets (and harbour) of Sydney, Australia. Allen has given us a protagonist who “keeps the bastards honest”, a character you can barrack for, but he has also delivered on international intrigue, a spy who is ruggedly good- looking (always a bonus), a girl (yes, there is a little romance), action, military know-how and a genuine good read for fans of the genre. I caught up with Chris Allen and had the opportunity to discuss the future of the Intrepid series. This interview will be posted in the coming days so stayed tuned. 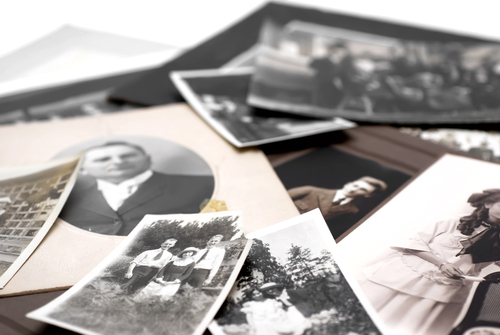 Familial traits are things that we’ve inherited beyond our control. No nature v’s nurture debate here; just an observation. Looking at my own family tree, there are writers along my paternal line,but there are also scale- makers, gardeners, jesters and of all things, accountants. I’m curious to see further back, to see if there was a writer in a French garret or an ancestor who hung around with the Jonathon Swift pack. Tracing ones family tree is so interesting you never know what you’ll find – imagine discovering your ancestor was William Shakespeare. It was these ponderings which put this week post in motion. My mission ,if I chose to accept it, (sorry for the pop culture adage, I couldn’t help myself) was to find which well-known writers inherited or passed on their talent. Stephen King – King’s son, Joe King, has been writing under the pen name of Joe Hill (abbreviated form his middle name Hillstrom) successfully for several years’ years. Not wanting to ride on his fathers coat tails he establish a writing career independently. He announced his true identity in 2007. Martin Amis – This much-lauded writer of London Fields had very big shoes to fill, being the son of Kingsley Amis. Kingsley Amis was a prolific writer who was ranked ninth on The Times list of the 50th greatest British writers. Mary Shelley (nee Wollstonecraft) – The writer of Frankenstein was the daughter of the feminist writer Mary Wollstonecraft. Bronte’s – Mostly known for the three sisters, Charlotte, Emily, and Anne and their works of Wuthering Heights and Jane Eyre, but the Bronte family came from a long lineage of scribes. The girls father, Patrick Bronte was also a poet and writer. Alexandre Dumas – Writer of the great Count of Monte Christo and The Three Musketeers he wrote some of France’s best known novels, but his son, also named Alexandre Dumas, wrote some of France’s best known plays, including Camille. Here is a list of current authors, see if you can guess whom their famous parents are. Cassandra Clare and Holly Black -A Good Idea? When two authors team up to write a novel it can sometimes read as disjointed and discombobulating. 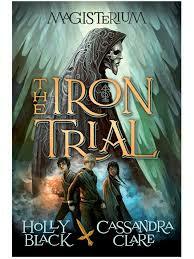 With this in mind it was with some trepidation that I approached the novel The Iron Trial –Book 1 in the Magisterium series by the dynamic duo, Cassandra Clare and Holly Black. Here are my thoughts so far. The Prologue was interesting, yet jumpy. The first chapter was engaging, well written and had me wanting more. This brings me back to the point of this post. Can two authors successfully write as one voice? What I’ve read of The Iron Trial has me assuming Black wrote the prologue and Clare wrote the first chapter. If the rest of the novel is written in tag team fashion then cohesion will be its first victim. I have read other novels with duel authors and the result is a loss in continuity and flow. Sometimes the changeover in author is as obvious as a line in the sand. What do my readers think of duel (Yes, duel not dual, as it can be a battle) writers? 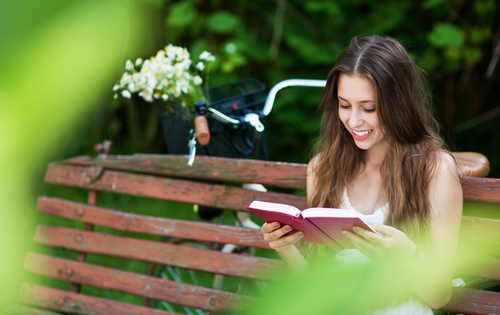 Bookgirl on Who reads YA? Jess on Who reads YA? caroleparkes on Who reads YA? bowmanauthor on Who reads YA?